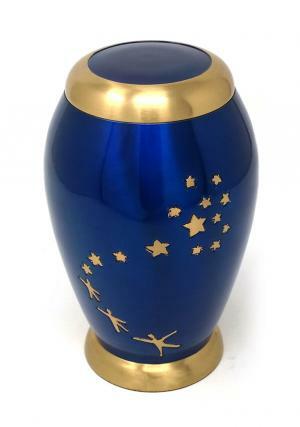 Blooming star are perfectly flattered on brass urn with a delighted touch to the majestic star large adult memorial urn. The stars are designed by using beautiful metallic tones through an electroplated pewter, paint and hand engraved. The majestic stars contrast in according to the glossy charcoal gold base colour. 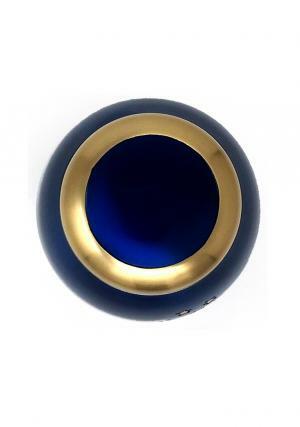 The funeral urn doesn’t come up with a traditional black but brings out charcoal gold colour with a metallic finish. 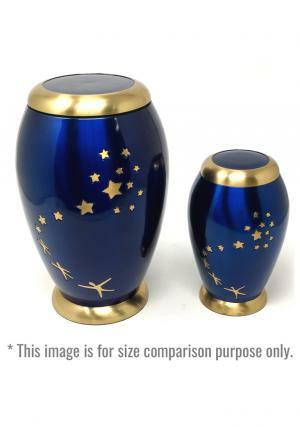 The blooming stars on the cremation urn would be the perfect storage place for cremated ashes which would be delighted to honor the ashes of the cremated. 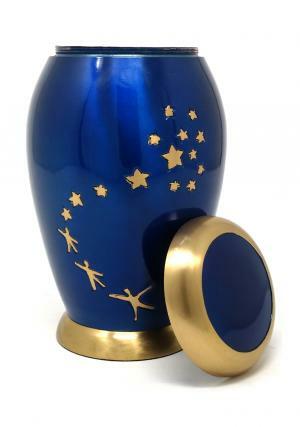 The large cremation urn has a flat secured threaded lid with designed lily on the top. 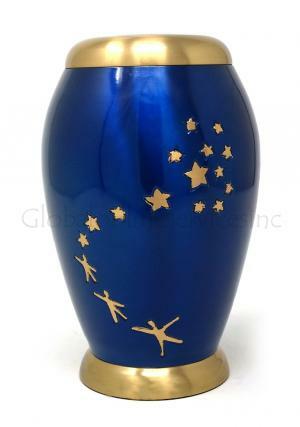 With the adult urn, the memorial of the cremated would be towards perfection. 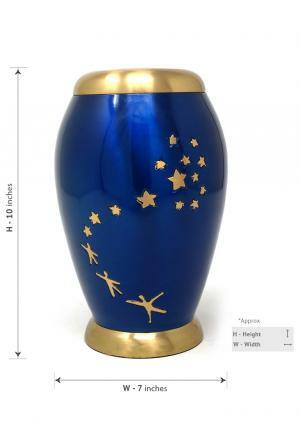 Adult urn capacity: 160 cubic inches, weight: 2.62 Kg; dimensions (inches): height: 9.25, free standard delivery in UK or selected expedite shipping!